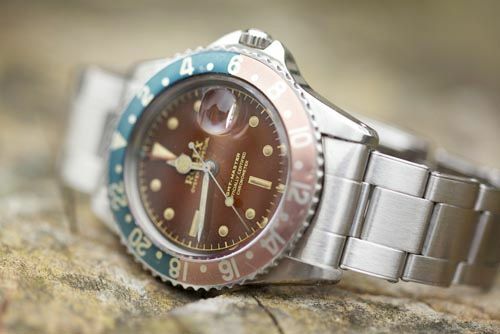 A member of the Dutch Rolexforum posted a few pictures of his vintage ref.1675 Rolex GMT-Master from 1960. 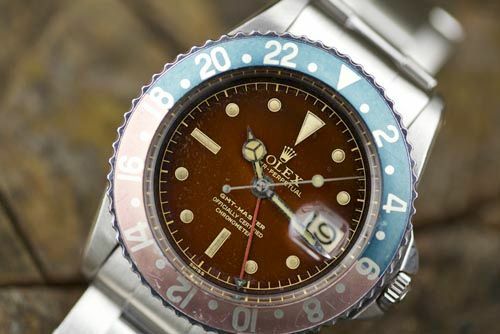 This GMT-Master has a beautiful ‘aged’ dial, that Rolex collectors point out as a gilt ‘tropical’ dial. The wording on the dial are special as well, since it only says ‘Officially Certified Chronometer’ instead of the “Superlative Chronometer Officially Certified” wording. The reference before this one (ref.6542) used to have this wording on the dial as well. Before you think it is an older dial in a newer case, it’s not, as the diameter of the dial is different. The owner of the watch claims that this particular model was only in production for less than 12 months. Please note the beautiful sleek GMT-hand, pointed crown guards on the watch itself and the very large Rolex logo on the clasp. 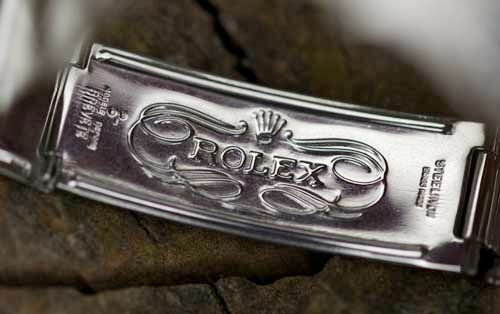 This weekend was the special vintage Rolex Meeting in Maastricht, The Netherlands and I am eagerly waiting for the first pictures to pop up. I am pretty sure that more watches like the one above were present and photographed by many. The meeting had special guests like George Band (one of the last living members of 1953 British Mount Everest Expedition), Peter Hillary, Jamling Norgay (both sons of..) and a lot of other speakers. Unfortunately, the whole thing was organized just a bit too close on BaselWorld, so I wasn’t able to make it.